The letter you may have received from the Baltimore County Election Board should not be mixed with your junk mail. It contains important information—a sample ballot, your legislative and councilmanic district, and voting precinct location. If you live in northwest Baltimore County, particularly Catonsville, Windsor Mill, Reisterstown or Owings Mills areas, take a careful look at your district. It may not be the same as the one you have been assigned the past 10 years. 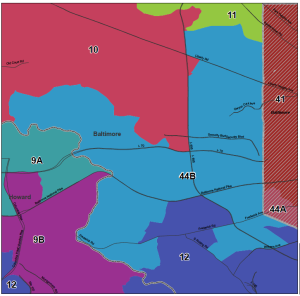 Every 10 years, Maryland population counts are reviewed and the electoral boundaries may change. During its 2012 legislative session the Maryland General Assembly approved new districts for parts of Baltimore County and Baltimore City. Your current representatives will remain the same until after the Nov. 4 general election, when the newly elected legislators take office. 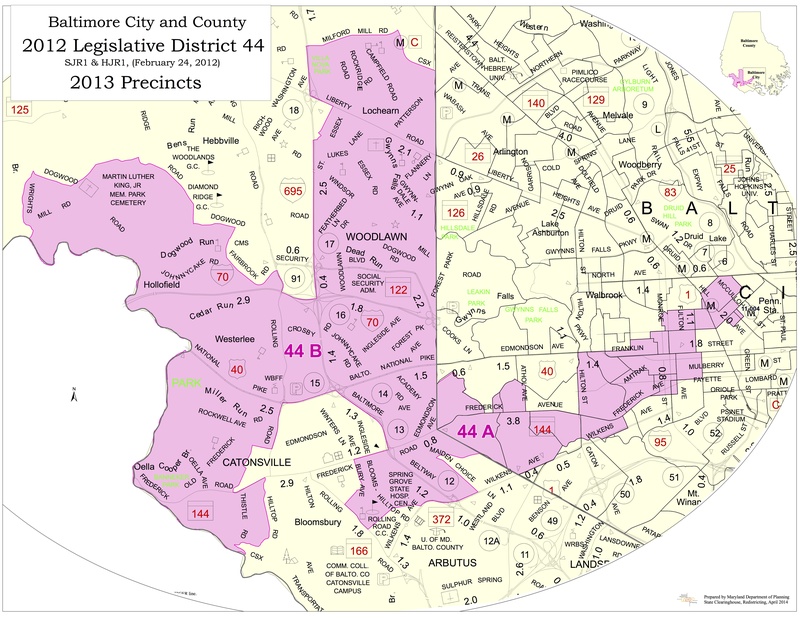 Some of the most dramatic changes took place in District 10, which covers Windsor Mill, Woodlawn and Randallstown; District 11, which includes Owings Mills, Pikesville and Reisterstown; and District 44, currently a Baltimore City district, which will become a hybrid city and county district that will stretch from southwest Baltimore County to west Baltimore. District 10 is currently represented by veteran legislators Sen. Delores Kelley and Delegates Emmett Burns, Adrienne Jones and Shirley Nathan-Pulliam. Burns is retiring, Jones is running for re-election in District 10, and Nathan-Pulliam is running for the Senate in the new District 44, which is comprised of more than 70 percent county residents. That leaves two open delegates’ spots for District 10, for which 10 candidates are vying; and two delegates’ seats for District 44B, the county section. There will be one representative for the city’s District 44A. 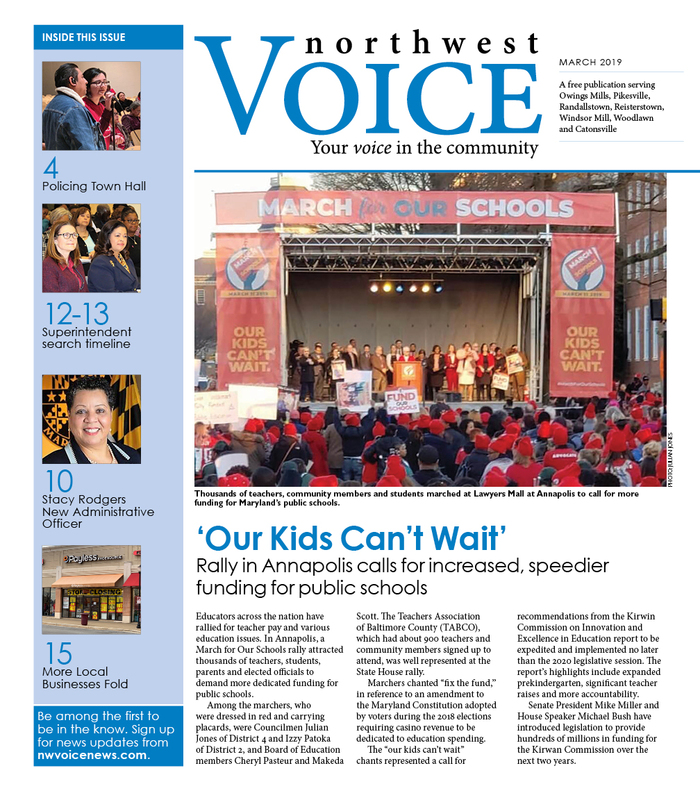 In District 44, the current senator, Verna Jones-Rodwell, decided to retire from the legislature and dropped her re-election campaign, which many saw as an uphill battle against the five-term county representative, Nathan-Pulliam. 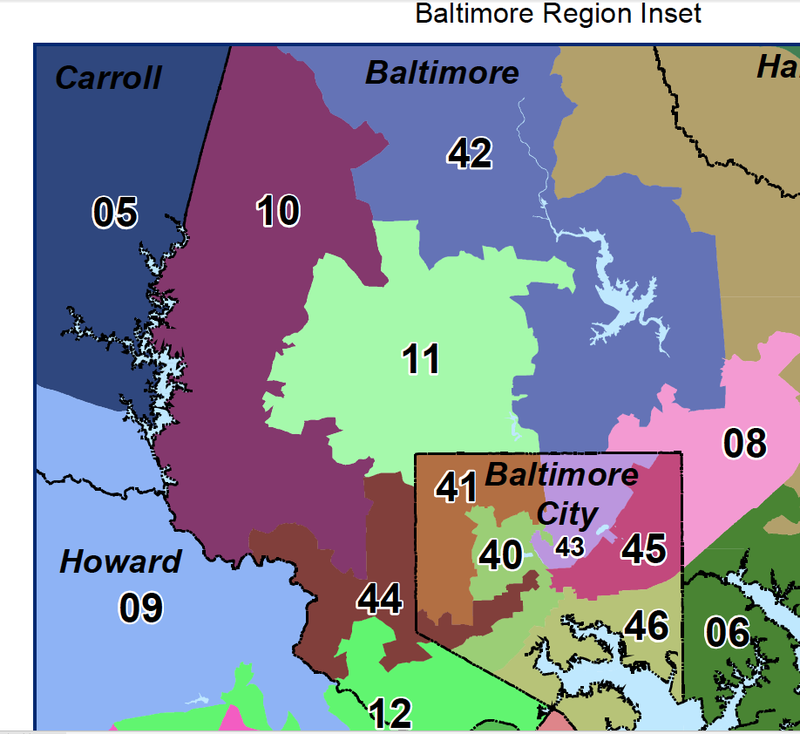 The new, more diverse District 10 touches five legislative districts: Carroll County District 5, Howard County District 9, Baltimore County Districts 11 and 42, and City-County District 44.